Gain childcare experience, make money and become part of a Kiwi family. That’s what au pairing is all about in New Zealand! And that Kiwi lifestyle is certainly what travellers look for when choosing au pair destinations: the perfect balance of work and play/maxin’ and relaxin’. The way we like to relax in New Zealand, however, is more like hitting the surf and hiking in this playground of a country. Being an au pair is a truly unique insight into New Zealand. 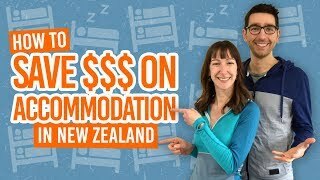 There are not many scenarios where travellers or backpackers get to live with a Kiwi family long enough to really experience what life is like in New Zealand. Plus, New Zealanders are notorious for being a friendly bunch so you’re sure to be welcomed with open arms. As many Kiwis have been travellers themselves once, and the fact that they open their home to you, you know they are eager to learn more about you too. So, want to know what it is like to be an au pair in New Zealand? Want to know why being an au pair is such a popular backpacker job? Continue feasting your eyes on the literature below! New Zealand is a huge adventure playground! This means there will be lots of activities to do with the family and adventures to take on your days off. 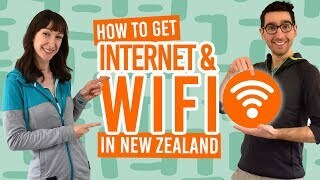 Getting a working holiday visa in New Zealand is easy. Compared to other countries, getting a New Zealand working holiday visa, which is mandatory to work as an au pair, is pretty easy and includes a huge selection of countries in their scheme. Find out more in What is a Working Holiday Visa? No major language barrier! We’re taking a wild guess here, but if you have read this far then it is likely you have a good grasp of English. If you’re English is a little rusty then this job is a great way to improve. Meet amazing people! Not only will you become a core part of the children’s lives that you are taking care of, but there’s a wealth of opportunity to meet a variety of people in New Zealand. Au pair agencies often arrange meet ups and when travelling you can meet like-minded travellers on the road. Gain the childcare experience to further your career. If you’re intrigued by au pairing then it is likely that childcare experience is valuable to you whether it’s for a career, pure enjoyment, or preparing for the future. Au pairing in New Zealand is an exciting way to grab this experience! There are two routes you can take to finding the perfect host family: through an au pair agency or by finding your own au pair host. There are a number of au pair agencies in New Zealand matching au pairs with host families. They also tend to provide support throughout your stay in New Zealand and even train you up as an au pair, if necessary. Of course, there is a fee for their service or perhaps a fee for a placement. You can sign up to some agencies before you arrive in New Zealand to be as prepared as possible. 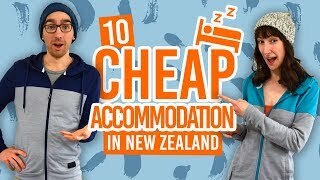 In our experience, it is usually cheaper to use au pair agencies once you arrive in New Zealand. A nice touch to some of the au pair agencies is the meet ups they organise, so you get the opportunity to meet more people outside of your host family. Some au pair agencies include: Au Pair Link, Dream Au Pair, Playschool Au Pairs, Au Pair New Zealand and Rock My Baby. Some families prefer to independently advertise au pair positions. Once you arrive in a location that you love in New Zealand, take a look at supermarket job boards or browse the au pair jobs listed on BackpackerGuide.NZ! The advantages of this method is that you don’t have to pay anyone to find you a job and you may be able to find au pair opportunities outside of the structure and conditions of the au pair agencies. For example, a family may only be hiring an au pair for three months, where most au pair agencies encourage au pairs to stay 6-12 months with the family. On the other hand, you’ll have to have your wits about you and make sure your family gives you a fair deal. Speak English to a good standard. Some families prefer bilingual au pairs so speaking both French and English or German and English may be an advantage to be matched to particular families. Have a valid driver licence. Check out if your driver licence is valid in New Zealand and how to get a valid licence in How to Drive in New Zealand. Have some childcare experience. This can be anything from babysitting to training as a teacher, for example. Some agencies may require you to have a certain amount of hours of childcare. Be willing to stay with the family for 6-12 months. Au pair agencies tend to give you the option of a rematch if things are not working out well though. For more requirements and tips, see 9 Things You Need to Know About Being an Au Pair in New Zealand. Your duties will vary depending on how old the children are that you will looking after. On one hand, you will be highly involved in looking after children under 5 years old. On the other hand, you may be seen as an ‘older sibling’ to children over 5 years old, who will be in school during the day. Usually, your work hours are 30-45 hours a week. Then prepare for your au pair job in New Zealand! We have a great selection of articles to help you prepare for this dream job in New Zealand.